The future of the EU will be vital to Australia’s national interests, even though some Australians will continue to see Britain first when looking at Europe. 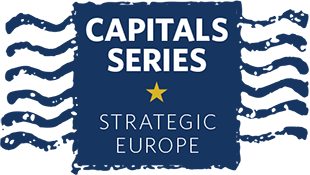 Strategic Europe continues its Capitals Series exploring how EU foreign policy is viewed by major non-European countries. We have asked each of our contributors to give a frank assessment of their country’s relations with the EU and rank five key issues in order of their importance in those relations. This week, the spotlight is on Australia. Standing alongside U.S. President Donald Trump in the front row of notable non-British cheerleaders for Brexit were two former Australian prime ministers. From the other side of the world, John Howard (prime minister from 1996 to 2007) and Tony Abbott (2013 to 2015) hailed the British vote in June 2016 to leave the EU as a triumph of ordinary people over out-of-touch government and the statists and bureaucrats of the European socialist state. “I’m quietly thrilled that the British people have resolved to claim back their country,” Abbott enthused. “With the English language, the common law and the mother of parliaments . . . how could anyone doubt that Britain is more than capable of making its way in the world?” Howard said Brexit was “a recognition that the European Union concept of having a monetary union without a fiscal union is doomed to failure.” Both former premiers called on Canberra and London to deepen their relations by prioritizing an Australia-UK free-trade agreement over the Australia-EU accord now under negotiation. Euroskepticism runs surprisingly deep in Australian politics. Australia even has an insurgent, right-wing, anti-immigration political party—One Nation—with similar ambitions to the UK Independence Party (UKIP). The roots of Australian antipathy toward the EU date back a long way, particularly to the 1973 admittance of Britain into the European Economic Community, a forerunner of today’s EU. Britain’s turn to Europe was seen as a betrayal of its former colony (white settlement of Australia began with the British First Fleet in 1788) and proved a serious economic shock for Australia. Agriculture, then the backbone of the Australian economy, took savage blows as butter and fruit exports collapsed. Those initial blows were compounded by European farm subsidies and the EU’s Common Agricultural Policy (CAP), which denied Australia access to European markets. The CAP became a bitterly divisive issue between Europe and Australia. For Australians with strong philosophical convictions about national sovereignty, state power, free markets, and the superiority of capitalism, the EU has always been seen as flawed and ultimately unviable. The CAP remains a symbol of all that is wrong with Europe—protectionism, bureaucracy, and statism. And Australians for whom Europe has never replaced Britain in their affections now see an Australia-UK free-trade agreement as the chance to right the wrong that the CAP inflicted. But while Australian perceptions of the EU were long stuck in the rut of hatred of the CAP, Australia’s relationship with Europe expanded at every level as Australia grew and matured as a nation. The EU is now Australia’s second-largest trading partner for goods, its largest source of foreign investment, and the source of a significant portion of its skilled workers and, therefore, of its ever-expanding multicultural community. An analysis by Melbourne’s Monash University Business School of trade and investment links with the UK and EU concluded that Australia’s economic interests would be best served by a free-trade agreement with the EU rather than with the UK. The Australia-EU economic and strategic relationship has deepened since the signing in April 2016 of Australia’s biggest-ever military equipment contract with France to build a new fleet of submarines. The deal adds to already-strong European defense industry connections. Australia is a NATO partner, and from time to time, there is discussion of Canberra possibly joining the alliance. Historians also point out that the blood ties between Australia and Europe go far beyond continental European immigration, which surged in the decades after World War II. The event that Australians commemorate as marking their emergence as an independent nation took place on European soil. On April 25 each year (Anzac Day), Australians march in the streets of every city, town, and village to commemorate the terrible losses suffered by Australian and New Zealand forces on the battlefields of Europe as part of the British Imperial Forces in World War I. Thousands of Australians a year make pilgrimages to Europe to the vast cemeteries of war dead to honor the men considered to have represented the qualities that defined the new Australian nation: bravery, endurance, ingenuity, and mateship. Many more thousands of Australians, the descendants of continental Europeans who emigrated to Australia in the decades after World War II, regularly travel in Europe in search of their roots. A recent poll of Australian attitudes toward Europe, conducted by the Lowy Institute, found that 90 percent of respondents believed Australia shared many European values and that Europe would always be important to Australia. But more than 50 percent said Europe was becoming less important. Sixty percent of those surveyed said they thought Europe was in decline compared with Asia, and more than 60 percent believed Europe’s migrant crisis was making Europe weaker. Other polling shows Australians believe Europe should emulate Australia’s harsh refugee policies of forced detention and denial of residence. On issues on which Europe has sought to be a global leader, Australian opinion has hardened against European thinking. Australia has dramatically cut its foreign aid budget, leaving the heavy lifting in its Pacific neighborhood to the EU and China. And Canberra has retreated from following Europe’s lead on climate change, abandoning a European-style carbon tax after just a brief period and attempting to reboot investment in developing Australia’s vast coal resources. Strategically, the rising military power and ambitions of China and the struggle between moderate and hardline Islamists in neighboring Indonesia—the world’s largest Muslim nation, with 258 million people—will be Australia’s prime concerns. Culturally, Australia is becoming more Asian. China and India are now the main sources of immigration to Australia. Trade and commerce, however, will continue to ensure that Europe remains central to Australia’s economy. The future of the EU will be vital to Australia’s national interests—even as Asia becomes more significant and even though some Australians will continue to see Britain first when looking at Europe. Geoff Kitney is a writer and commentator on Australian and international affairs. For a minute, it was like Fox news (US): Europe (continental) are socialists, not Friedmanists like us?! The answer should probably be: Yeah, you didn’t have an 1848! It is understandable that Australia is rebalancing towards China and India, and I must correct the common omission of India as military super hype power, and soon a major factor in global geopolitics. However, the country should be aware that 25 million people might have to make policy changes to accommodate neighbors of their size and geopolitical impact. It is not clear why Australia needs a large fleet of submarines when some of their neighbors are major strategic nuclear powers; sticks would achieve the same level of dissuasion. Hopefully nobody in Australia or else would have to live what is described in the movie “On the beach”. It is very surprising that a wealthy country like Australia is importing skilled workers from anywhere; Australia should be a world leader in science and technology, and develop her own competitive educational system. Moreover, the structure of the commercial exchanges with the EU and in general is not indicating an advanced economy, after all these years of peace and supposed multilateral development coal is still an export? In exchange for manufactured products? Ideally Australia should have been a world leader in clean coal technology or nuclear. It terms of defense and NATO membership it is difficult for a US taxpayer to understand why the cost of the deployment of US Marines and other military assets is shared, rather than paid mostly be the beneficiary, Australia. Anyway, Australia already contracted a major moral and material debt in Europe: Ukraine. Missing from the article are the promises made by Australia to the Ukrainian people, aligned to those made by the EU and completely unfulfilled. A free movement of people accord should have been offered by both a long time ago, but it is far easier for Australia to do it (the EU has a cumbersome member approval process). Also, there are tens of billions in economic aid Australia kind of promised; Brexit should not absolve the UK of the hundreds of billions in development funds (over a decade) promised to the Ukrainian people after Maidan (benchmark Poland, half a trillion).